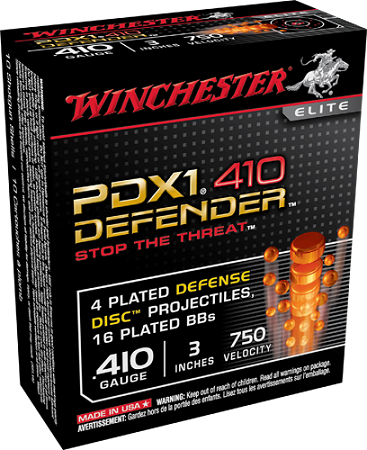 From the 19th through the 20th, and now the 21st century, Winchester has led the industry in ground-breaking developments in shotshell loads and shotshell components. In 1997, Winchester introduced the most technologically-advanced shotshells in history - Supreme shotshells. With exciting new Supreme offerings in 2000, Winchester is continuing a shotshell manufacturing pedigree of quality and innovation that extends back to 1886. No matter what your shotgun needs, we cover the full range of gauges from 10 and 12 gauge to .410 gauge. Offers Critical Penetration; Compensates for Aim Error; 410 Gauge for Short-Range Engagement.